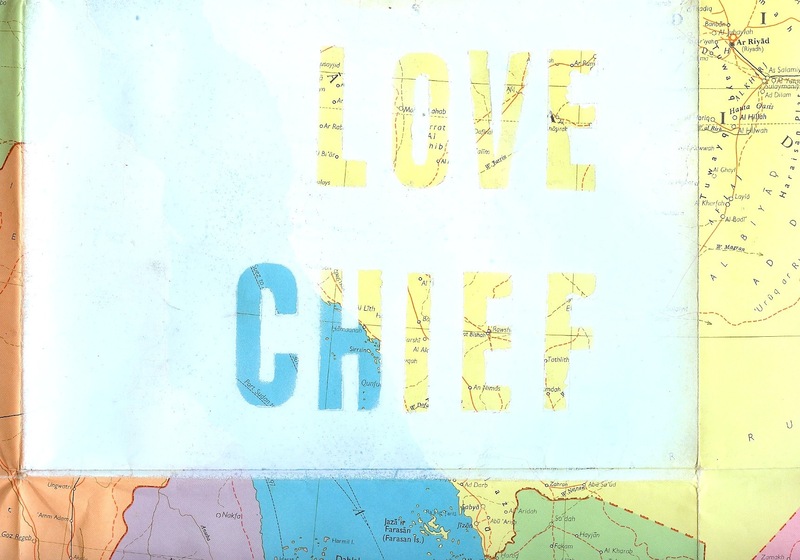 Love Chief. Making a stencil with sticky lettering, using the most beautiful map ever for a back drop. The map is so creased though, I’m not sure I can iron it out… and unsure about weather or not to cut it down to size of have map boarder.